IS BARRA BASICS FOR ME? See what's inside the Barra Basics Program. I'm thrilled you are interested in Barra Basics - my premium online fishing course designed exclusively to fast track your learning curve saving you frustration, time and money. And better still.. you will actually catch fish! Whether you enjoy the thrill of lure casting fish in the shallows, or would rather sit back and relax while your live bait does the work, we're here to turn your dreams into reality. After successfully empowering hundreds of ambitious anglers with my proven methods, vastly increasing their fishing enjoyment and catches, my deepest hope is that I will be able to help you do the same. Ryan's mission is to help you realise your greater potential and live the dream of barra fishing mastery. 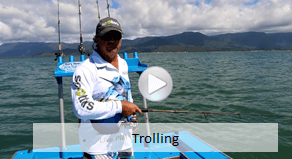 He is the founder of Hooked on Hinchinbrook charters and has so far put clients onto over two thousand barra over a metre, in addition to numerous thousand pound marlin in his stellar career. You could say, putting people onto bucket list fish has been his life for over 30 years. Ryan is a guest host and product tester for Jarvis Walker Brands here in Australia and Ambassador for both Garmin Marine and Bombardier (Evinrude). He has been featured in several successful fishing shows, radio broadcasts and popular fishing magazines. He holds the honour of landing the two biggest saltwater barra ever caught on Australian TV and writes a regular column for Queensland Fishing Monthly (QFM). Barra Basics is a 6 module, online, video-based training course. But don't let the catchy name fool you. 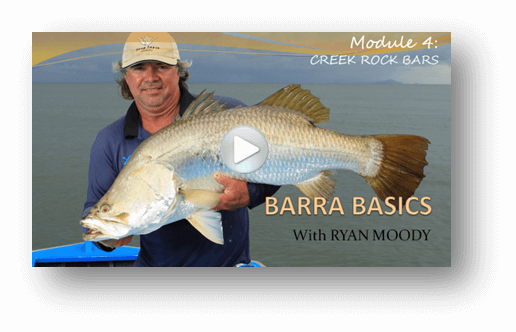 Barra Basics contains everything Ryan Moody knows about catching barramundi, neatly packaged into an easy to follow course. Barra Basics shows you step-by-step how to position yourself in fish holding and funneling locations at exactly the right time. Being in the right Territory at the right Time using the right Techniques = consistent saltwater barra catches. We call it the three T's. You will learn to fish more effectively following Ryan's proven 3T's framework and turn your on water presence from a frustrating hobby into a fish catching machine. This is it! No frills, no fluff, no having to spend a ton more money on gear than you already have... Simply learning where they go, what they do, and how to catch them. 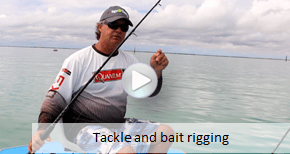 Do you want consistent catches of magnificent saltwater barra? If the answer is Yes... then read on. We are thrilled to have received outstanding reviews from our graduates and have a vibrant community of passionate and successful barra fishers who can attest to the power of the program. WHAT EXACTLY WILL I LEARN IN BARRA BASICS? There are 6 core learning modules, including in field demonstrations of exactly how it is done. We focus exclusively on saltwater barra, Ryan's speciality. 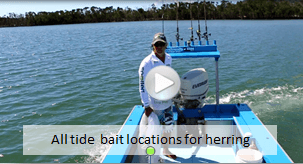 You will learn the most productive locations in your patch based on your preferred fishing technique, so you can plan out your fishing days a year in advance and leave the less productive times for mowing the lawn and playing with the kids. When you are making an investment of this magnitude, it's important to know what you are getting. That's why we share the entire curriculum with you - so you can make sure the program is right for you. To hear what our graduates think of the course Click Here, otherwise read on for the full tour. Module 1 is all about strategy and being in the right Territory at the right Time. 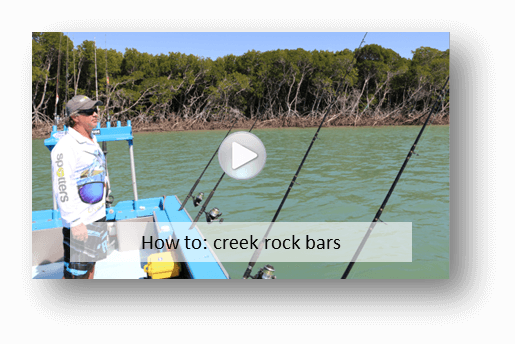 It is in Module 1 that you are introduced to the ©Ryan Moody Fishing Framework, a flowchart that tells you exactly where to go, when to go and what to use. Please note this entire course is specifically devoted to saltwater barra*. Tips (and homework) on how to investigate fish holding locations in your local area (or any area you want to fish) by asking yourself some simple questions. When to keep persevering and when to call it day… what turns them off. 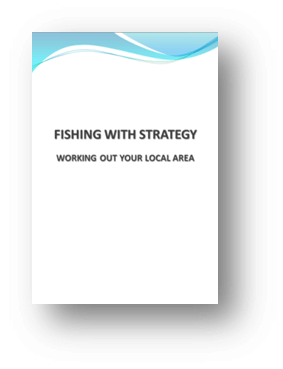 Fishing with strategy workbook: Assistance on working out your local area FAST. Module 2 is about working with the right tools. Module 2 is the biggest of all the modules simply because good preparation prevents poor performance. 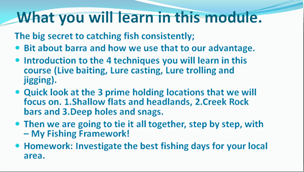 It is in Module 2 you will learn how to implement the right tools component and how it fits together into the ©Ryan Moody Barra Fishing Framework. Learn the best live bait for saltwater barramundi and where to find them at varying stages of the tide. How to ensure you catch your bait before you need them thus maximising the time spent fishing the “sweet spot”. Don’t waste any more money on lures* – learn to present the ones you have. Ryan talks about his favourites and why. 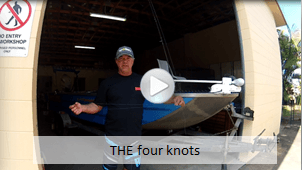 You only need to know four knots and we show you some tricks on how to tie them quick and easy. 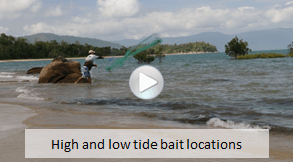 Concept video: "Preparation is the key - live baiting" including how, where and when to collect the best live bait for barra. Concept video: "Preparation is the key - lures and gear." 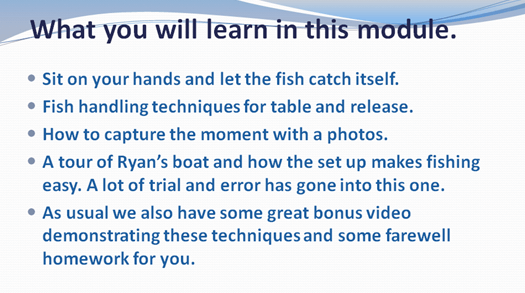 Bonus in-field demo video: "High and low tide bait locations"
Bonus in-field demo video: "All tide bait locations for herring"
Bonus in field demo video: "Tackle and bait rigging"
Bonus in-field demo video: "The four knots"
In Module 3 we get into the nitty gritty of the ©Ryan Moody Barra Fishing Framework. 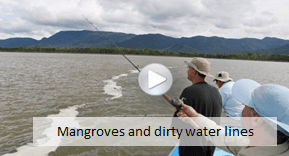 Bonus in-field demo video: "Rocky foreshores and obstructions"
Bonus in-field demo video: "Rocky outcrops"
Bonus in-field demo video: "Mangroves and dirty water lines"
Module 4 unlocks the secrets to fishing creek rock bars. 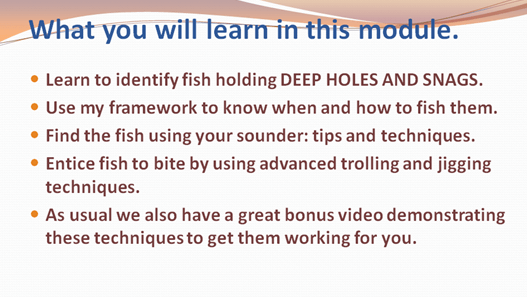 Bonus in-field demo video: "How to find and fish creek rock bars"
Module 5 teaches the use of your sounder to identify aggregating fish. 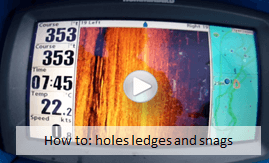 Fishing deep holes, ledges and snags is the only one of our holding areas that require the use of a sounder. Bonus in-field demo video: "Advanced trolling techniques for deep holes, ledges and snags"
Bonus in-field demo video: "How to set your sounder to best identify aggregating barra"
Bonus in-field demo video: "Jigging for barra"
Concept video: "Seal the deal - from hook up to table/release"
Bonus in-field demo video: "Fish handling plus..."
Bonus in-field demo video: "Inside Ryan's boat"
Plus... BONUS Impoundment Barra Module! As anyone who has tried to change habits would know, being accountable to another or having a supportive community of like minded individuals is invaluable. So we have set up private, student only Facebook study group for you guys to help each other! And let me just say, this community is developing into the most amazing resource and we are blown away by the success of our students and the willingness of those a little more advanced to assist and help the others. As they say... A rising tide lifts all boats. 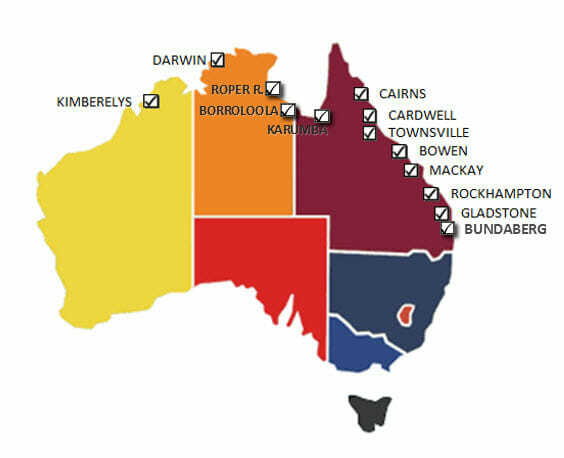 Oh and we have also created a knowledge base of over 700 Q&A entries with Ryan and students covering hundreds of locations and topics all over northern Australia. It is fully searchable and available directly on the website. Two “live conference calls” (webinars) will be scheduled within a few weeks of the course opening where students can ask questions via the call and pre-request questions via email. The dates for these calls are as will be made available closer to the registration period. Recordings will be made available for those that miss it. HOW AM I GOING TO LEARN? Your complete training package is contained within our private member-only website. If you can use a computer to print a page and watch YouTube videos, you can easily complete this course. Our goal is to make your online learning experience as easy and enjoyable as possible. Q. Where are graduates catching barra? A. The framework works EVERYWHERE! WHEN CAN I ACCESS THE TRAINING? Barra Basics registrations are open for two weeks in February and September. So if you are working away, travelling or dealing with a big life event, you don't have to worry about "falling behind." Every student gets lifetime access to Barra Basics. In other words, you can undertake the program for as long as it is in existence. Plus you will have access to all updates and any new material added. You can revisit and review the course at any time. All that is required is an internet connection for access to the membership area. Barra Basics has dynamic support structures to keep you on track every step of the way! Which is why we only offer the program twice per year... so we can provide extensive support to those who may need it. We’re proud to have one of the most active and supportive fishing communities on the web. In our private, student-only community, you’ll be able to post your questions to both your fellow students and Ryan. With a such an active and helpful community by your side, questions are rarely unanswered for long! As always, we’re here to help you. If you have technical issues or a challenge you need help with, simply write to support@fishsmarter.com.au and our web support team will be happy to take care of you. 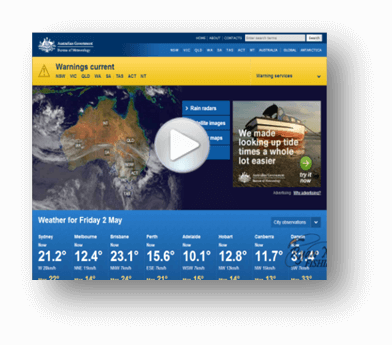 Our customer service hours are M-F, from 8am – 4pm AEST. To tackle your toughest questions and keep you inspired, energized and taking action, Ryan holds two “live call” webinars. If you can’t participate live, simply submit your question in advance! We also record each webinar so you can listen and learn at your own convenience. WHAT'S THE INVESTMENT FOR THE PROGRAM? The tuition for Barra Basics is $1399 AUD. You can pay in full or take advantage of our payment plan of three or six months. *Please note that the payment plans must be paid in full for course access to be granted. Our mission is to help you realise your full potential and achieve your dreams of fishing success. Unfortunately, due the easily shareable nature of this content, we do not offer a refund other than when required by Australian Competition and Consumer Commission Law. Even if you don’t end up using it straight away, you still get to keep & use it over and again. Ryan’s strategies have been tested and proven. It’s a unique, generous offering, and you’d be hard pressed to find as much content, and knowledge in a very small priced program. 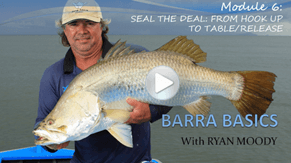 When you invest in your self with a Barra Basics membership, your purchase is final. DO YOU OFFER A SCHOLARSHIP? My word we do! We believe in offering everyone the opportunity to live the dream and reach their true fishing potential. Each year we hold a dynamic video-based scholarship contest. Tell us why you want to win, get creative, have fun. Winners will be chosen based on clarity, creativity and heart. As long as you’re on the list at barrabasics.com, you’ll be notified of the scholarship details, dates, and participation guidelines. Check out our latest winners here. IS BARRA BASICS RIGHT FOR ME? If you are still wondering, please choose from the following. Honest Answers to Tough Questions Barra Basics isn't for everyone. We'll give you the answers to the most common questions so you can make an informed decision for you. Inspiring Case Studies of Barra Basics Graduates Living the Dream Every intake we ask Barra Basics students a series of questions about the course. Most don't answer but some do. Here are their unedited answers with a couple of video case studies thrown in. Read Real Customer Reviews We have collated just a few of the hundreds of thank-you's and praise for the course, sent in to us (mostly unsolicited) from course graduates explaining what a remarkable difference the course has had on their fishing. We are honoured to have made such an impact in people's lives. Fish Smarter Not Harder | Be inspired | Take action! On behalf of myself, our team and the entire Barra Basics community, I sincerely hope to have the privilege of working with you. If you'd like more information about Barra Basics, enter your name and email below.